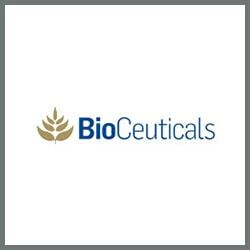 Harding’s Pharmacy carries most of the products from the Bioceuticals Range. Please see below for a few product examples. 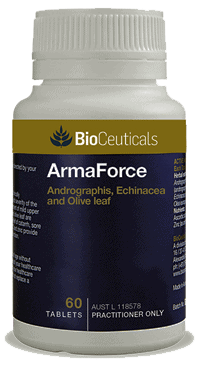 For more information about other products from this range please contact us by phone, email or visit us at one of the Harding’s Pharmacy outlets. 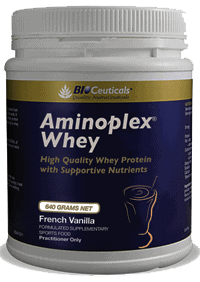 Aminoplex Whey provides a good source of high quality protein from whey protein isolate and whey protein concentrate together with L-carnitine and minerals. When part of a healthy varied diet, protein, vitamins and minerals are beneficial to the body. Adequate protein intake is necessary for tissue building and repair and contributes to the growth and maintenance of muscle mass. Adequate magnesium contributes to the maintenance of healthy nerve and muscle function, is necessary for normal protein synthesis and contributes to normal energy metabolism. Iodine and calcium contribute to normal energy metabolism; chromium contributes to normal macronutrient metabolism; and vitamin D contributes to the funciton of the immune system. 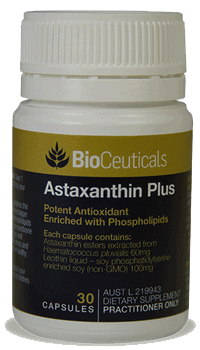 Astaxanthin Plus combines the potent antioxidant astaxanthin from the microalgae Haematococcus pluvialis with enriched phospholipids to support the maintenance of healthy cell membrane function. Astaxanthin may help support eye and immune health, protect against oxidative stress and maintain healthy blood triglyceride levels in healthy individuals. 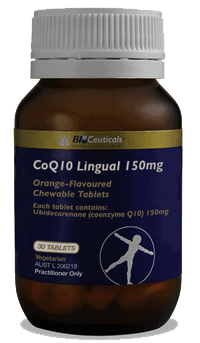 CoQ10 Lingual 150mg has been formulated to assist rapid absorption of coenzyme Q10. Topical application of coenzyme Q10 to the gums provides nutritional support for healthy periodontal tissue integrity. 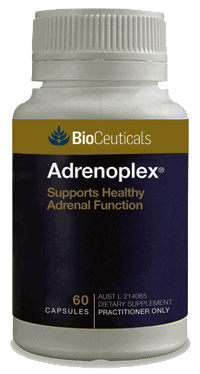 Coenzyme Q10 is involved in cellular energy production, antioxidant activity and supporting cardiovascular health.